One of the best things about going on holiday has to be planning what clothes to pack, when it comes to outfit planning nothing beats raiding your wardrobe to put together an ensemble for holiday - whether it be something practical for an excursion, something pretty for cocktails or something you probably wouldn't usually dare wear at home. I love all of it! Living in a country like the UK with its unpredictable weather can make it hard to put together an outfit for the, you can never be quite sure if you'll be warm enough, cool enough or dry enough! 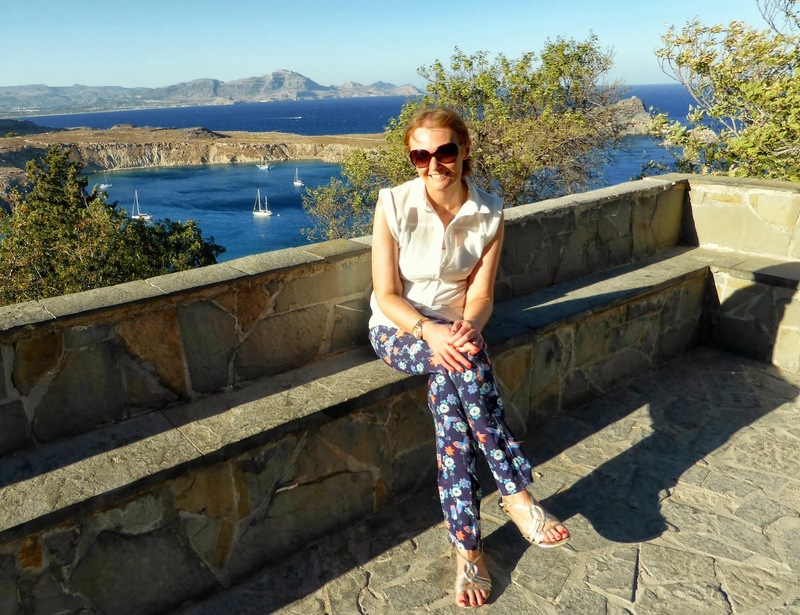 Holidaying in Greece meant that I got to pick clothes knowing that I was guaranteed a beautiful dry, hot and sunny day. 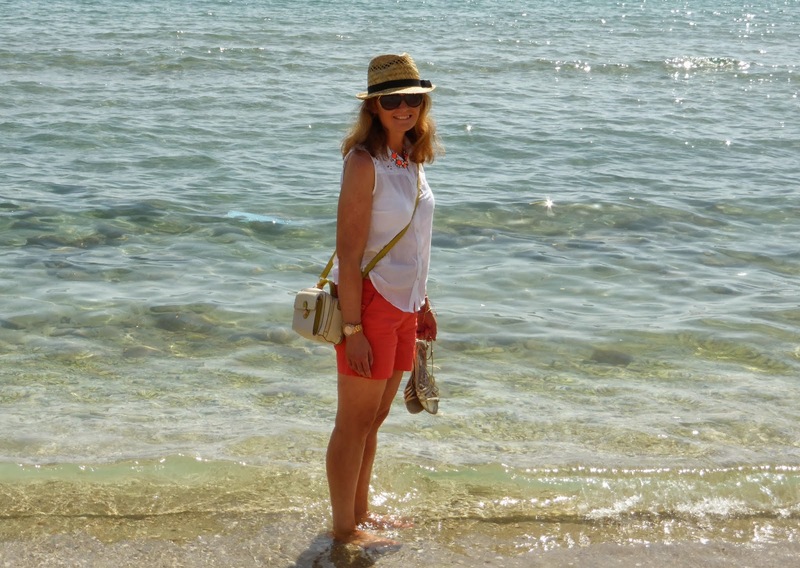 These lovely coral coloured shorts made a couple of outings, I bought them from Tescos at the beginning of the Summer for around £8.00. 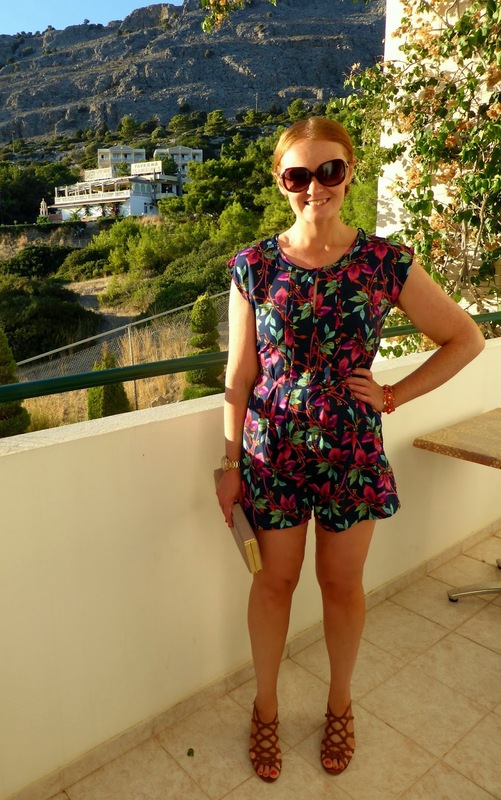 I find it very hard to find shorts that are a good length, I can't get on with ones that are too short as they are so unflattering on me and most of the High Street shops only seem to stock tiny shorts. These shorts had a stitched turn up which I unpicked to make them the perfect length. I wore these on our first excursion with a sleeveless shirt from New Look and a bright orange statement necklace. As you may remember I got myself a spray tan before going on my holiday and as it's the first time in my life I've ever had a tan I wanted to make sure that I had some white to wear whilst I was away. I picked up this simple sun dress from H&M and as we were on and off breezy boats quite a lot on this day I teamed it with a white cropped cardigan. I had great fun playing with different hairstyles on holiday and this is the day I decided to wear a head scarf, something that I've never dared to try at home before. I got this beautiful butterfly scarf from Accessorize a few years ago and it's been hiding in a box ever since. It was really fun to wear something different. Our first evening out I knew I wanted to wear white whilst my tan was still looking good. This dress was yet another Tesco purchase (they really did have some great Summer clothes this year). I think it was around £10.00 and I loved it as soon as I tried it on. Its a lovely length and a lovely loose fit. I wore it with some wedges that I bought from New Look. I've always been very jealous of friends being able to wear playsuits, I was never able to wear one myself whilst I was carrying extra weight, I could never find one that didn't just make me look like a sack of spuds. This was one of my first purchases when I reached my goal weight last year and this holiday it finally got to make its first outing. I bought it in a size 12 to make it a more flattering fit and I really love the colours. It was a perfect choice for the evening. One of my favourite nights was the night of the crazy trousers. I bought these literally just for holiday, I love them but I'm not sure if I'll ever be brave enough to wear them at home, they're fairly busy! 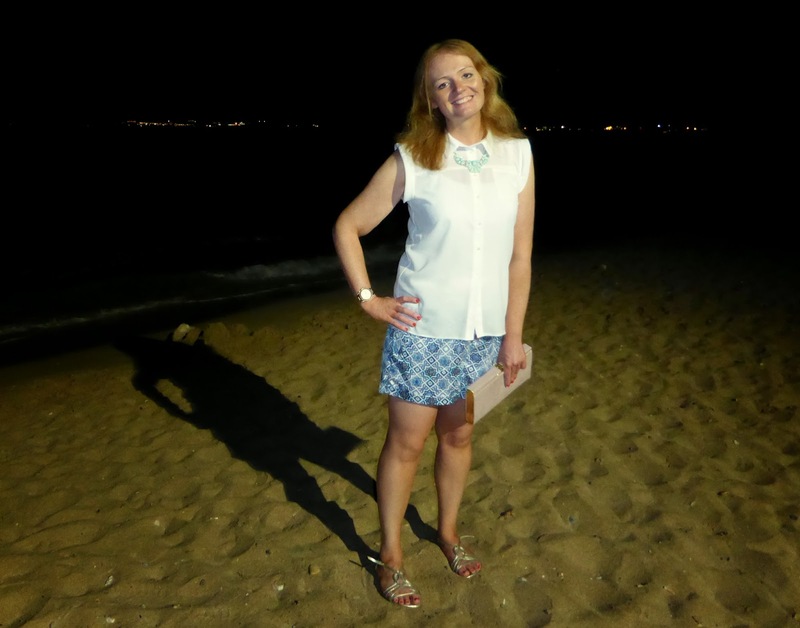 These were a great outfit on the evening where the wind picked up a bit and we made the slightly silly decision to eat on a roof top taverna complete with flying napkins. 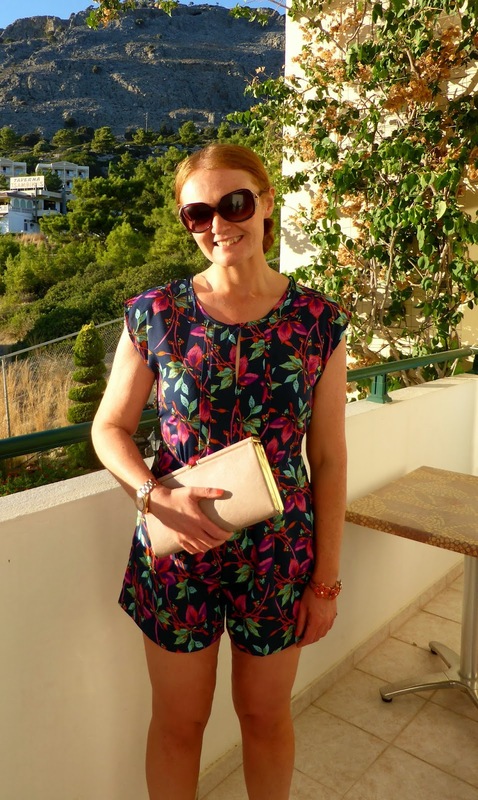 The final outfit I'm going to share is my gorgeous silky Primark shorts. Such a bargain at £8.00 and really perfect for holiday. I really loved wearing them, they were a lovely look with a white shirt for the evening but I think they would have been equally as good during the day. Yes you should! I thought I'd look ridiculous - red hair, freckles and a tan but I absolutely loved it! Would definitely do it again. 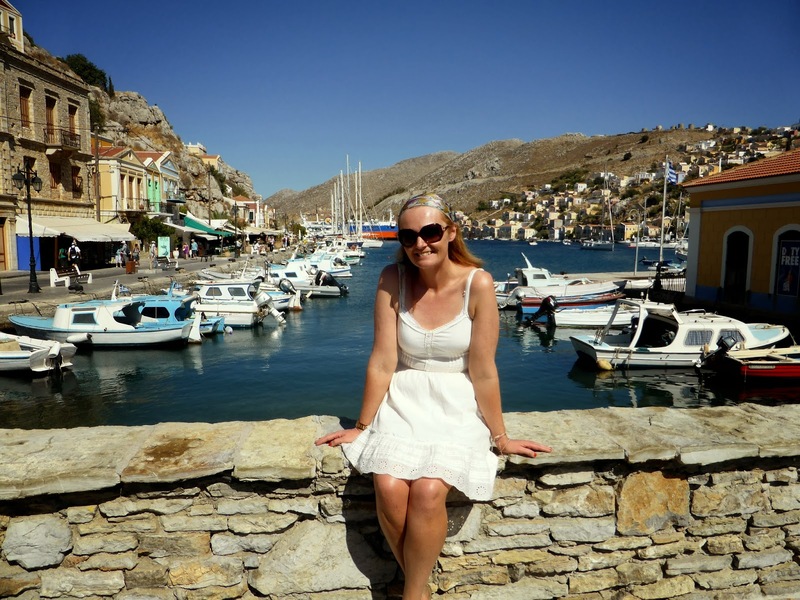 I have literally just scheduled a (kind of) 'what I'm packing for my holiday' post. I'm off next week! Yay! !